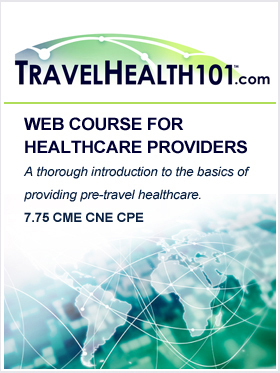 Travel Health 101 WEB COURSE for Healthcare Providers: A self-paced, practical introduction to providing pre-travel health care to international travelers. This course is a good refresher course and an effective and economical way to train new staff. Course material is delivered via section videos, slide handouts and includes access to provider/narrator, Lynne Bunnell, RN, for questions. Course attendees have 2 months of access to the course and earn CE credits after returning the evaluation and posttest with a score of 75% or greater. We all say "Never Again!" How can we ensure that it won't? This on demand webinar reviews learning to recognize and stop genocide strategies from being used again anywhere in the world. Join our panelists who will discuss the strategies used by the Nazi party to justify criminal medical research and genocide through the public health propaganda. The Upstream training is an interactive, engaging set of workshops that equips all staff with the tools and knowledge they need to provide better contraceptive care and ensure that women are provided the tools necessary to make the informed choices that are best for them. The training follows and outlines AAP, ACOG and CDC recommendations including offering Long-Acting Reversible Contraception as a first-line option for most women and teens, as these methods are not only 20 times more effective at preventing unintended pregnancy than other methods of birth control, but have the highest satisfaction and continuation rates. Clinicians and support staff attending an Upstream training receive instruction and support on patient-centered counseling, practical instruction in IUD insertion and removal using state-of-the-art VirtaMed Pelvic Simulators, hands-on training in implant placement and removal, and ongoing assistance with billing and administrative systems. Faculty: Priscilla Castillo; Venus Jones; Jeff Wetherhold, M.Ed. The Upstream training is an interactive, engaging set of workshops that equips all staff with the tools and knowledge they need to provide better contraceptive care and ensure that women are provided the tools necessary to make the informed choices that are best for them. The training follows and outlines AAP, ACOG and CDC recommendations including offering Long-Acting Reversible Contraception as a first-line option for most women and teens, as these methods are not only 20 times more effective at preventing unintended pregnancy than other methods of birth control but have the highest satisfaction and continuation rates. Clinicians and support staff attending an Upstream training receive instruction and support on patient-centered counseling, practical instruction in IUD insertion and removal using state-of-the-art VirtaMed Pelvic Simulators, hands-on training in implant placement and removal, and ongoing assistance with billing and administrative systems. Faculty: Priscilla Castillo; Cassandra Codes-Johnson, MPA; Venus Jones; Sade Rogers, . Current models of healthcare quality recommend that patient management decisions be evidence-based and patient-centered. Utilization review tools help provide a more structured way for clinical staff to assess medical stability and objectively define a patient's clinical status and match services being received to levels of care. This activity will address processes and strategies to identify inconsistencies in criteria application and opportunities for improvement. Current models of healthcare quality recommend that patient management decisions be evidence-based and patient-centered. Advances in the decision sciences have led to the development of a number of multiple criteria decision making methods. These multi-criteria methods are designed to help people make better choices when faced with complex decisions involving several dimensions. 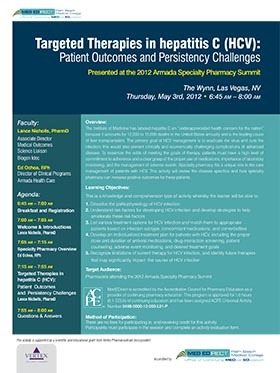 Attendees will learn how to support quality care through a better understanding of evidenced-based medicine and how it supports Utilization Management. The Upstream training is an interactive, engaging set of workshops that equips all staff with the tools and knowledge they need to provide better contraceptive care and ensure that women are provided the tools necessary to make the informed choices that are best for them. This activity will provide an overview of Acute level of care criteria concepts and application as well as Ambulatory Level of Care Criteria. This session will review both Criteria and provide an opportunity for participants to review and discuss application to clinical case studies. Faculty: Leo Shea III, Ph.D. The "10th Global Orthopedicians Annual Meeting" to be held during July 03-04, 2017 at Kuala Lumpur, Malaysia. The special interest and theme of this conference is: “Trends and technologies from across the globe in orthopedic research”. Orthopedicians-2017 gathers renowned scientists, physicians, surgeons, young researchers, industrial delegates and talented student communities in the fields of Orthopedicians & rheumatology under a single roof where networking and global partnering happens for the acceleration of future research. Orthopedicians-2017 is an international platform for presenting research about Orthopedics and related topics, there is an immense scope for exchanging ideas about rheumatology at this conference and thus, contributes in dissemination of knowledge in management of the disease for the benefit of the society. Conference Series Ltd. welcomes you to the 3rd International Conference on Palliative Care and Hospice Nursing to be held in Philadelphia, USA from June 21-23, 2017. The program will be attended by palliative care specialists including physicians, nurses, students, researchers and healthcare industry leaders from around the world. Through a series of brief keynote presentations, speaker lectures, exhibition, symposia and workshops, the 3rd International Conference on Palliative Care and Hospice Nursing will address current trends and future direction in end of life care. Stressing the importance of a multidisciplinary approach to treatment with the patient at the center, a wide range of topics will include issues such as balancing pain management and safety, advance care planning, insight from child life specialists who work in the field of death, dying and bereavement and methods for palliation of various cancer types. Conference Series Ltd. welcomes you to the 5th Global Summit and Expo on Head, Neck and Plastic Surgery to be held in Philadelphia, USA from June 19-20, 2017. 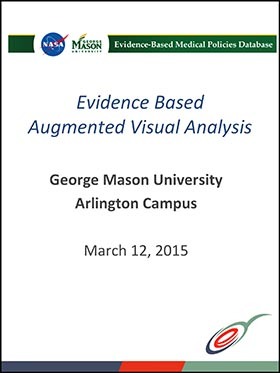 The program will be attended by surgeons, physicians, nurses, audiologists, students and researchers. Through a series of brief keynote presentations, speaker lectures, exhibition, symposia and workshops, the 5th Global Summit and Expo on Head, Neck and Plastic Surgery will address current trends and future direction in head, neck and plastic surgery. Stressing the importance of a multidisciplinary approach to treatment with the patient at the center, a wide range of topics will include issues related to Head and Neck such as E.N.T, Otolaryngology, Pediatric Otolaryngology, Facelift, Liposuction, Hair Replacement, Scar Revision, Audiology, tinnitus, Hearing aids, Head and Neck Cancer, Permanent makeup Surgery, Ear infection treatment, and Sinus problems. Conference Series Ltd. welcomes participants from all over the world to the 5th World Congress on Breast Cancer”, June 15-17th, 2017 in London, UK. The theme for the conference this year, "Pioneering Spirit of Enriching the Lives and Wellness of Women" promises an outstanding scientific program featuring many well-known and thought provoking speakers Experts in the field from all over the globe will share experience and knowledge through a series of brief keynote presentations, speaker lectures, exhibition, symposia and workshops, the 5th World Congress on Breast Cancer will focus on the prevention, diagnosis and management of Fertility Disorders and diseases of Gynecological and Breast Origin, as well as related Genetics, Pathophysiology, Epidemiology, approaches to treatment and new research. The shift in medicine and healthcare from management of disease towards promoting wellness is a keystone in addressing the upstream caused of disease and ensuring that all women have equal opportunities. The activity will focus on providing optimal health and healthcare to adolescent girls and women, with focus on the prevention. Conference Series Ltd. welcomes you to Global Pediatric Ophthalmology 2017: Evaluation and Development of Vision in Pediatrics to See their World, from June 05-06, 2017 in Milan, Italy. The program will be attended by top healthcare practitioners in the area of pediatric ophthalmology including physicians, nurses and social workers, researchers and academia in one dynamic event that will address the latest issues in the field of Pediatric Ophthalmology. Through a series of brief keynote presentations, speaker lectures, exhibition, symposia and workshops, Global Pediatric Ophthalmology 2017 will address current trends and future direction in pediatric ophthalmology including epidemiology, approach to treatment and new research. Stressing the importance of a multidisciplinary approach to treatment with the patient at the center, topics will include the incidence and related outcomes associated with ophthalmic disorders in the pediatric population, as well as approaches to the surgical and pharmacologic management of certain pediatric ophthalmologic disorders. Disorders include but are not limited to amblyopia, nystagmus, APROP, estropia, pediatric keratoconus and pediatric retinal and choroidal diseases. Conference Series Ltd. welcomes participants from across the globe to attend the “4th International Conference on Chronic Obstructive Pulmonary diseases” which will be held in May 29-31, 2017 in Osaka, Japan. The theme of this current year conference is “Reviving new aspects to explore the innovative strategies”. COPD is the fourth leading cause of mortality in the world and will be the second leading cause of death by 2020. The COPD-2017 conference will seek to improve the approach to the management of COPD by focusing on presentation of current research, educational sessions, and discussion on clinical care, research and care delivery. Conference Series Ltd. welcomes you to the World Heart Congress from May 22-24, 2017 at Osaka, Japan. The program will be attended by top cardiologists and cardiology practitioners, cardiology educators, researchers and industry in one event. Through a series of brief keynote presentations, speaker lectures, exhibition, symposia and workshops, Heart Congress 2017 will address current trends and future direction in cardiology including epidemiology, approach to treatment and new research. Stressing the importance of a multidisciplinary approach to treatment with the patient at the center, topics will include diabetes, obesity and stroke, interventional cardiology, heart disease and failure, diagnostics and presentation of cardiovascular research. Conference Series Ltd pleased to welcome you to attend in 20th World Nursing Education Conference during May 22-24, 2017 at Osaka, Japan with a theme “Current Challenges and Innovations in Nursing Education” The following main themes of the conference will be discussed during presentations of the three day event, which reflect current education research, developments and innovations internationally and as evidenced in both Nurse Education and Evidence Based Practice. Teaching, Assessment and Learning in University and Clinical Practice Technology, Simulation and Education Continuing Professional Development Continuing Education Patient Safety Innovation, Academic Leadership and Evaluation Research Impacting Nursing Care and Education Midwifery Education Conference Series Ltd through its Open Access Initiative is committed to make genuine and reliable contributions to the scientific community. This conference brings together individuals who have an interest in Nursing Education from practice, development and research. After the productive venture of series of hematology conferences around the globe ConferenceSeries Ltd is pleased to welcome participants to “7th World Hematologists Congress” to be held on May 08-09, 2017 in Barcelona, Spain. The conference is organized round the theme "A step towards Excellence in Hematology Research” which incorporates keynote presentations, Oral talks, Poster displays and Exhibitions. The conferenc will seek to fill practice gaps that have been identified in the managment of neonatal sepsis, safety in the blood supply and coagulopathies in intracranial hemorrage. Global Nursing Education 2017 will focus on educational research directed toward its impact on clinical outcomes, through oral and poster presentations, educational workshop sessions, and influential plenary presentations. Attendees will be provided with the tools to enhance nursing education programs to make education more effective in nursing practice. 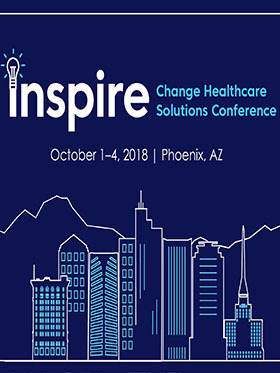 This Conference is a platform for nursing students, faculty, deans, researchers, and leaders to collaborate on topics affecting nursing education. Attendees can take advantage of opportunities to learn about nursing education research from a variety of oral and poster presentations. Meet and network with nurses ranging from students to deans, faculty, and researchers. Take advantage of opportunities to collaborate with nurses from around the world. 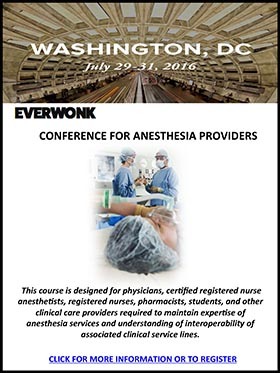 Attend prominent plenary sessions about relevant issues affecting nursing education. ConferenceSeries Ltd takes immense pleasure to extend our warm welcome to invite all the participants from all over the world to attend 3rd Annual Congress & Medicare Expo on Primary Healthcare, April 17-19, 2017 Dubai, UAE which will entail lively debates, prompt keynote presentations, Oral talks, Poster presentations, workshops and networking opportunities around a core of plenary and concurrent sessions based on pivotal issues in the Primary Healthcare sector. Primary Healthcare 2017 Conference is a forum to explore issues of mutual concern as well as exchange knowledge, share evidence and ideas, and generate solutions. The main focus of Primary Healthcare 2017 is to present research findings, discuss research methodology and policy issues, and build and maintain essential networks between researchers, practitioners, policy makers and representatives of consumer organisations. This activity focuses on the potential integration of lifestyle inventions into the treatment of diabetes clinical practice. 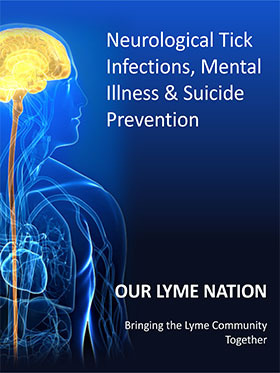 The activity provides a “recipe” for integrating prevention and wellness both within clinical practice and in the home and community settings. Prevention and non-medical interventions are explored at both the micro- as well as macro- levels. A panel will reflect and discuss a team based approach to care of Type 2 Diabetic patients using a series of patient case scenarios. 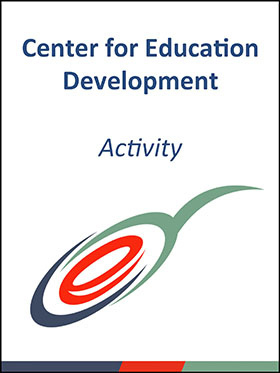 Addressed in this activity is a review of the theory of behavioral change as it applies to behaviors associated with obesity and diabetes. Motivational interview principles are outlines as helpful strategies in patient care. Behavioral and psychosocial factors for obesity and diabetes in various patient care situations are explored. The activity offers practical tools and tips for inclusion in clinical practice. The 13th International Conference on Surgical Pathology & Practice is going to be held at Madrid, Spain during March 27-28, 2017 hosted by Conferences Series LLC. Through the theme "Insights of Anatomy with Surgical Pathology", conference will explore the advances in Anatomical Pathology, Clinical Pathology, etc. This conference could be an exceptional event that brings along a novel and International mixture of giant and medium pathology analysis, leading universities and pathology analysis establishments creating the conference an ideal platform to share expertise, foster collaborations across trade and world, and assess rising technologies across the world. From 1933 to 1945, Nazi Germany carried out a campaign to “cleanse” German society of people viewed as biological threats to the nation’s “health.” Enlisting the help of physicians and medically trained geneticists, psychiatrists, and anthropologists, the Nazis developed racial health policies that started with the mass sterilization of “hereditarily diseased” persons and ended with the near annihilation of European Jewry. The United States Holocaust Memorial Museum's "Deadly Medicine: Creating the Master Race" exhibit traces this history from the early 20th-century international eugenics movement to the Nazi regime’s “science of race.” It also challenges viewers to reflect on the present-day interest in genetic manipulation that promotes the possibility of human perfection. The purpose of this webinar is to provide a guided tour of this exhibit so that healthcare professionals all over the world can benefit from this important resource. 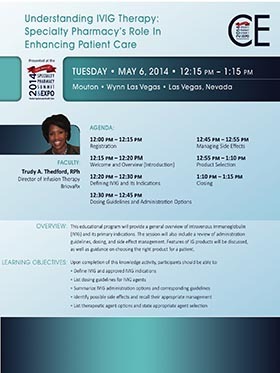 This activity features a replay of a live symposia held following IDWeek 2016 in New Orleans, Louisiana. Today it is realistic to ask whether the antibiotic era is coming to an end – as foreshadowed by Sir Alexander Fleming as early as 1943. Among all of the bacterial resistance problems, gram-negative pathogens are particularly worrisome, and treating infections of either pan-resistant or nearly pan-resistant gram-negative microorganisms is an increasingly common challenge in many hospitals. Characterized by the CDC as an Urgent Threat Level, Carbapenem-resistant Enterobacteriaceae (CRE) have emerged as a global threat and has been labeled as one of the three greatest threats to human health by the World Health Organization. A recent study in the US showed that the rate of CRE detection in community hospitals is rapidly and significantly increasing – more than five-fold in a network of community hospitals from 2008-2012. CRE were identified in every surveillance site in the Multi-site Gram-negative Surveillance Initiative network with incidence rates in some regions high enough to suggest that CRE are endemic. And perhaps most worrisome, the emergence of MCR-1 heralds the breach of the last group of antibiotics, polymyxins, by plasmid-mediated resistance. With the advent of transmissible colistin resistance, progression of Enterobacteriaceae from extensive drug resistance to pan-drug resistance is inevitable and will ultimately become global. Practitioners must not base immediate future practice on the assumption that new classes of antibiotics will emerge. At least for the foreseeable future, we will just have improvements on existing agents/classes. It is imperative that clinicians understand the profile of these agents that have been recently and are soon to be approved and how they fit into the current treatment paradigms in order to optimize treatment. Examples include a re-formulation of an old agent, minocycline, the addition of new beta-lactamase inhibitors avibactam and tazobactam to established beta-lactam antibiotics, and synthetic/engineered analogs of current classes such as the aminoglycoside plazomicin. 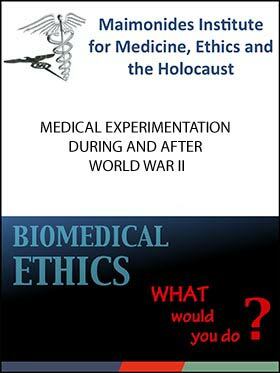 Many scholars have argued that the field of human subject research ethics was created as a direct response to Josef Mengele and the medical experimentation that took place in Nazi concentration camps. 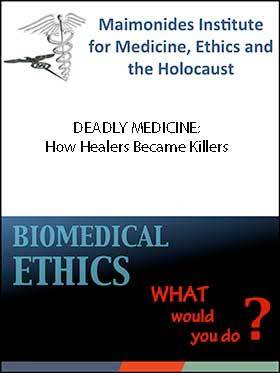 While the barbarism disguised as scientific practice that took place during the Holocaust serves as the singular example of unethical human subject research, the history of the field demonstrates a host of medical failures that have violated not only the tenets of sound science, but also the personhood of those seeking relief from suffering. This webinar will provide a better understanding of the evolution of human subject research ethics through the examination of several examples of unethical human subject research experimentation during and after World War II. To succeed, no matter the size, a practice needs and must understand how to use technology solutions that help deliver the highest quality of patient care without sacrificing revenue or practice efficiency. This activity is a multi-day live virtual conference “The Application of the EHR System to Improve Patient care and Mange Costs,” and will be held Monday, October 3rd – Thursday October 13th. 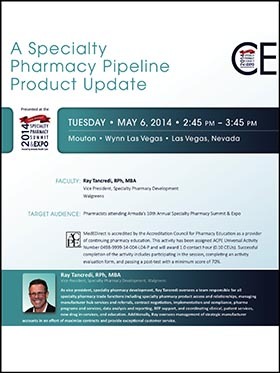 Please note that this program will be accredited for physicians and nurses. 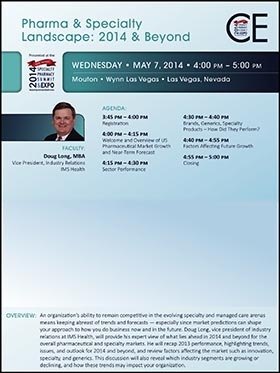 General educational topics that will be addressed include Federal Regulations, Quality and Operational Efficiency, Managing Core Practice Operations and Optimizing Performance and Quality. 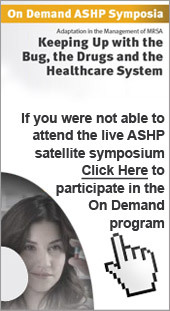 This activity replay is part of a multi-day live virtual conference “The Application of the EHR System to Improve Patient care and Mange Costs,” that was held Monday, October 3rd – Thursday October 17th. 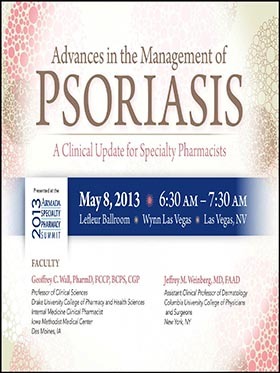 Please note that this program will be accredited for physicians and nurses. In June of 1966, physician-researcher Henry K. Beecher published a paper entitled “Ethics and Clinical Research” in the New England Journal of Medicine. His paper listed 22 examples of clinical research that raised ethical questions about the conduct of research by physicians at major universities, published in major medical journals, demolishing the widely-held position that concerns about unethical research conduct were relevant only to a small number of corrupt, non-respected researchers. Fifty years later, Beecher’s paper is often cited as the most significant publication in human research ethics. This month, we will explore the history and motivation that led to Dr. Beecher’s ground-breaking publication, and the response from the research community. We will also discuss the development, evolution and current state of human research protections. This activity is a multi-day live virtual conference “The Application of the EHR System to Improve Patient care and Mange Costs,” and will be held Monday, October 10th – Thursday October 17th. Please note that this program will be accredited for physicians and nurses. A historic transformation is underway in healthcare as value-based reimbursement (VBR) gradually supersedes the fragmented and costly fee-for-service care model long employed in the United States. Both government and commercial programs are demonstrating that VBR’s quality-driven approach can reduce costs, improve outcomes and enhance patient satisfaction. New incentives for preventive care, early intervention and care continuity are permanently altering the way medicine is practiced and paid for. 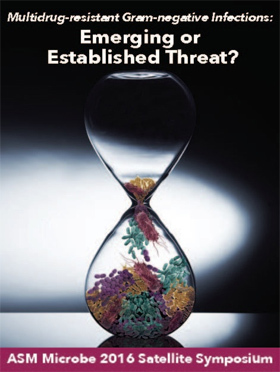 On Demand Replay: Multidrug-resistant Gram-negative Infections Emerging or Established threat? Bacterial resistance to available antibiotics is of great concern and is an increasing challenge for physicians caring for hospitalized patients with serious infections. Infections caused by resistant gram-negative bacteria are becoming increasingly prevalent and now constitute a serious threat to public health worldwide because they are difficult to treat and are associated with high morbidity and mortality rates. Further, treating infections of either pan-resistant or nearly pan-resistant Gram-negative microorganisms is an increasingly common challenge in many hospitals. With increasingly limited treatment options and resistance on the rise, it is more important than ever to optimize the use of antibiotics in order to help improve patient outcomes, but also to understand the value of and preserve the life-saving potential of these agents. 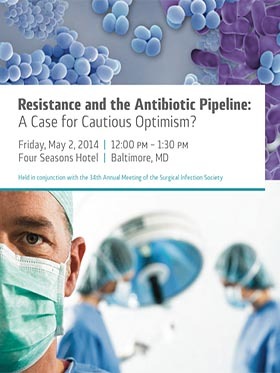 This continuing education activity will address concepts that clinicians need to consider in order to optimize antibiotic treatment and improve outcomes in patients experiencing infections from multidrug-resistant Gram-negative pathogens. The central role of the medical profession in the design and implementation of “applied biology,” and Racial Hygiene Policy that took place during the Holocaust has broad relevance for a variety of topics within clinical medicine and public policy. 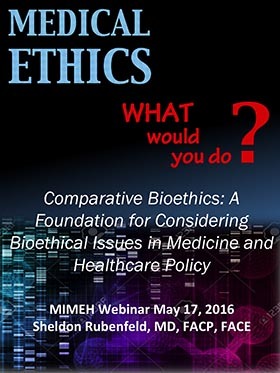 This webinar will approach these issues through the lens of Comparative Bioethics. Any individual, group, or national position on the ethical and public policy questions raised by society’s constant desire for progress through medical and scientific advancements depends upon its foundational philosophy. 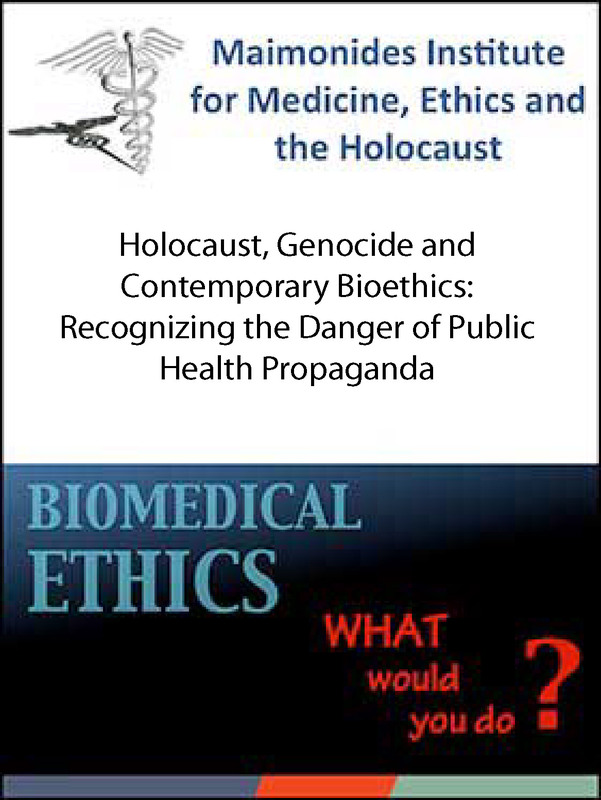 By comparing traditional Jewish medical ethics, the Hippocratic Oath, Nazi bioethics, and contemporary secular bioethics, different approaches to clinical, research, and public health policy issues can be clarified. Multidrug-resistant Gram-negative Infections Emerging or Established threat? 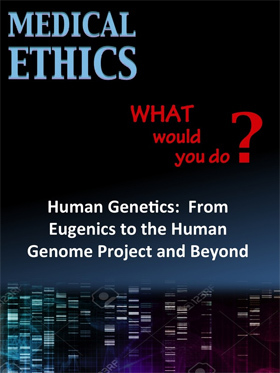 The purpose of this webinar is to explore the chronology of the ethical dimensions of human genetics. Beginning with a brief introduction to biology, DNA research, and human genetics, this webinar will review how genetic knowledge was abused in coercive international eugenics programs in the first half of the twentieth century, focusing specifically on the United States and Germany. Present applications of genetic research, including the Human Genome Project, genetic testing and screening, and gene therapy, can be used to investigate the ethical and public policy questions raised by society’s continued quest for progress through genetic manipulation. Genetic enhancement, behavioral genetics, and racial research represent potential future uses of human genetics, begging the question of how society will come to define and understand what it means to be human. 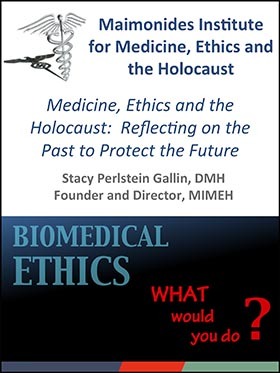 This webinar will focus on the abrogation of biomedical ethics in World War II Germany, demonstrating how the Holocaust is a unique example of medically sanctioned genocide. 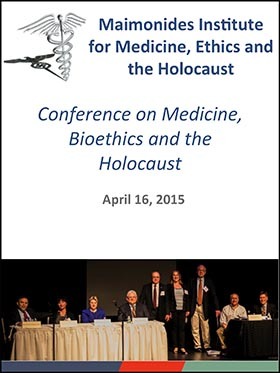 The biomedical ethical considerations brought to light as a result of the alliance between medicine and the Nazis remain relevant for current medical and scientific practice, healthcare policy, and human rights endeavors. 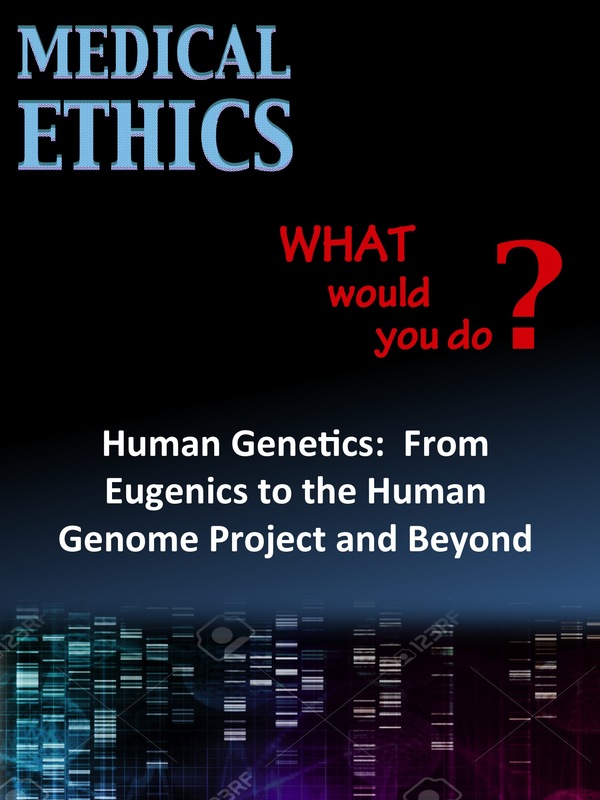 Eugenics, disability studies, end-of-life care, genetic testing, and human experimentation are all topics that are vital to the history as well as the future of bioethics. Exploring the pivotal role played by science and medicine in the labeling, persecution, and eventual mass murder of those deemed "unfit" is essential to preventing other instances of human rights abuses in modern society. While it is intuitive that the use of the most appropriate antibiotic therapy may optimize treatment of MRSA-associated infections, selection of the most appropriate regimen is not. 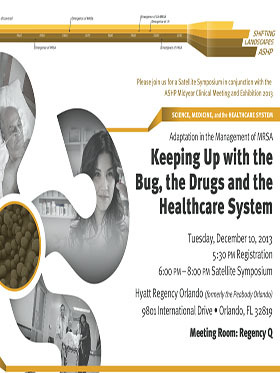 Professionals treating patients at risk for MRSA infections must understand the spectrum of available agents and how to use their understanding of the corresponding drivers of efficacy, safety, and economics to implement evidence-based treatment approaches that best reduce the morbidity and mortality. This activity consists of the review of a short video presentation and two primary references and answering a series of questions. The references can be accessed on the journal club portal. 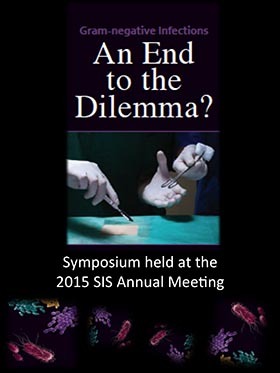 On Demand Replay: Gram-negative Infections: Not a Child's Game - An End to the Dilemma? Gram-negative Infections: Not a Child's Game - An End to the Dilemma? Gram-negative Infections: Are We Meeting the Challenge? Giving a Face to Faceless Victims of the Nazi Euthanasia Program - Patricia Heberer-Rice, Ph.D.
Gram-negative Infections - An End to the Dilemma? 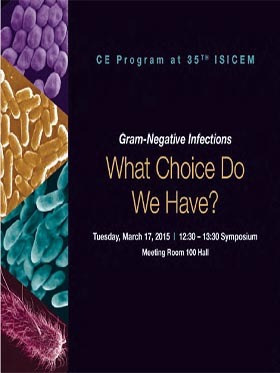 Gram-Negative Infections: What Choice Do We Have? Bending the Cost Curve: Will Payment and Delivery Reforms Actually Work, and What is the Impact on Specialty Drugs? 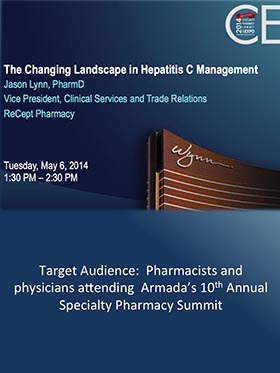 The US Pharma and Specialty Markets: Looking Back and Looking Ahead! In 2011, the World Health Organization (WHO) reported that 63,000 patients die each year in US hospitals and 25,000 patients lose their lives annually in the European Union due to antibiotic-resistant infections. The annual estimated economic burden is US $2.1 billion in the European Union, US $34 billion in the United States, and US $2.453 billion globally. Antimicrobial drug resistance (AMR or AMDR) is a multidimensional and systemic failure of the health, education, societal behavior, and medical policies and practices. Four major challenges should be recognized and addressed by the world medical community. AMDR is extending beyond national boundaries, presenting a significant threat to health and increasing the costs of medical care. Collaboration among healthcare, pharmaceutical, agricultural, and consumer communities is a prerequisite to ward off this evolving pandemic. Adequate funding for proactive surveillance and development of new antimicrobial drugs and vaccines should be made available. Antibiotic drug stewardship, including education of stakeholders, implementation of hygiene practices, and responsible dispensing and use, are essential strategic elements of all preventive practices.